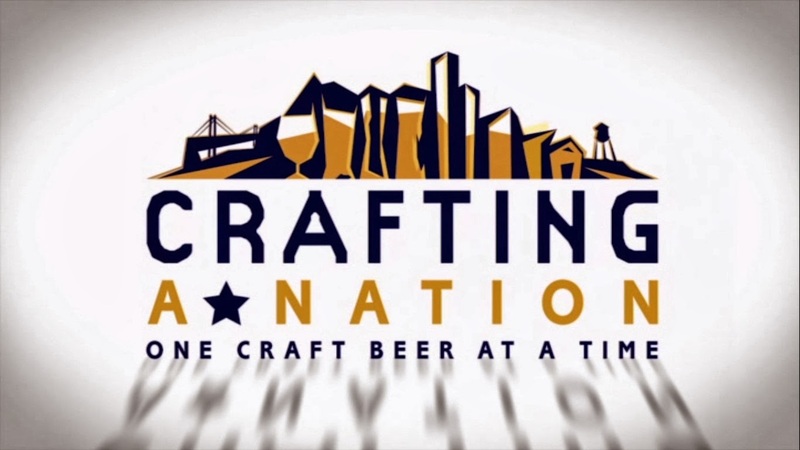 In a similar, though less existential vain as the fine dining documentary For Grace, Crafting a Nation sets to document the rising tide of micro-breweries across the nation founded by individuals with the most dangerous of mentalities to the preexisting order. And that is, they do it for the love of it. A leisurely activity that can become profitable in the economic transaction is the most fecund source of ingenuity and innovation in human society. That is never appreciated when an entrepreneur has the exciting joy of aiming to get rich. Yes, these buccaneers admit money is a factor. But if it was the primary factor, they would be shacking up in a centuries old tenement in Manhattan, paying thousands a month for the privilege of paying 10 bucks for a quick burger and to be accosted by ambitious street rodents (lest they find themselves joining the party up the stairwells) and frost bite just so they can enjoy the opportunity to possibility earn several hundred thousand dollars a year if they play their cards right. Instead, their primary factor is that desire to make a mark in the world, to make something from nothing and by altering and mastering the course of their lives they can, as much as possible, alter the course of history. On the surface, brewing is an unattractive investment opportunity. Not only does one have to compete with the behemoth brewers, but also the scores of like-minded men who share the same city as oneself. Scaling is next to impossible then. And yet, again dangerously, these men do not care squeezing an extra dollar out of one more bottle of their brew. Just having liquor stores try out a case is an achievement – it is part of the highest feeling of accomplishment can he make for himself; which is feeling eudemonic. Most of the brewers interviewed are successful; to be certain there are many that are now found in an elephant graveyard to never be heard from again. But such is the practice of living life. Many will fail, leaving the successful behind with smiling faces. And many do not feel the pressure nor need to scale their enterprises, despite demand calling for it. Why? Certainly, they must feel compassion for those who enjoy the fruits of their labor? Do they become complacent? To everything, there is a season and a time. Never mind the ardor in beginning a brewery, to scale requires just as much audacity and risk. When some breweries feel comfortable in the added labor, they comply. Others are content with the work they have done and do not seek the higher complexities and burdens. Because they own what they make, they are their own masters of their destinies – the highest gift a man can be bequeathed with; for that gift enables his gratitude for living, and thus the unquenchable fervor to give, to better, to raise up the world man and posterity exists in. Crafting a Nation then exhibits the highest duty of entrepreneurialism. It is not about the money. It is about a man fulfilling his best possible being, so that he may lift up his brothers in need, and to provide a richer inheritance to posterity; all toward converging toward a world of peace and harmony, rather than primordial brutality.